Stoner knew. The fiery object hurtling toward the Earth was an alien spacecraft. But the world might never know. He was trapped in an iron cordon of secrecy, for the discovery had shattered the world power balance, setting off a brutal struggle for supremacy that raged from the sacred halls of the Vatican to the corridors of the Kremlin and the Pentagon. The forces of fear and treachery would use any weapon at their command, from mind war to sabotage, to keep the world in darkness. Not Quite "Rendezvous With Rama"
He was just a freckle-faced, red-headed kid with green eyes and a strangely campelling stare when Mather Mastiff first saw him an the auctioneer's block. One hundred credits and he was hers. For years the old woman was his only family. She loved him, fed him, taught him everything she knew - even let him keep the deadly flying snake he called Pip.Then Mother Mastiff mysteriously disappeared and Flinx took Pip to tail her kidnappers. Six-time Hugo Award winner Bova likes to tell big stories in a small way. This approach both helps and hurts in this collection of stories, excerpts and outtakes from his "Grand Tour" novels (Saturn, etc. ), which explore the colonization of the solar system. Despite his vast subject, Bova focuses tightly on the heroes and villains whose striving makes up his future history. What secrets lurk in the depths of Jupiter’s oceans? In Ben Bova’s novel Jupiter, physicist Grant Archer led an expedition into Jupiter’s planet-wide ocean, attempting to study the unusual and massive creatures that call the planet their home. Unprepared for the hostile environment and crushing pressures, Grant’s team faced certain death as their ship malfunctioned and slowly sank to the planet’s depths. However, one of Jupiter’s native creatures—a city-sized leviathan—saved the doomed ship. This creature’s act convinced Grant that they were intelligent, but he lacked scientific proof. Now, several years later, Grant prepares a new expedition to prove it once and for all. The new team faces dangers from both the hostile environment and from humans who will do anything to make sure the mission is a failure—even if it means murdering the entire crew. ©2011 Ben Bova (P)2011 Blackstone Audio, Inc. I'm quite sad that this novel isn't good as there are good ideas present within. The fact that I spent five bucks and wanted something worth my money is also present, but let's forgo that. The biggest problem is the antagonist of this book. Westfall is completely unneeded given the plot of exploring an alien planet and trying to make contact with the life there. The whole novel could have hinged on "Man vs Alien" and "Man vs Environment" and been better for it. Westfall's inclusion is unnecessary, made even worse in that her character is completely idiotic. Her motives are downright stupid, as are her actions. Other characters are intimidated and afraid of her, apparently forgetting that they are all weeks away from Earth orbiting Jupiter; she's powerless there. Many of the main characters, and the protagonist, know she's up to something sinister, but they never confront her on this like rational people. She honestly ruins the novel. The book is a slow moving mess, preferring to absorb itself in politics rather than the alien planet and the alien life. It's not until around hour 12 or so that the characters make it to Jupiter. Too much time is spent on board Station Gold in an attempt to establish unneeded and poorly constructed sub plots. There's a lengthy time devoted to two of the main characters talking with dolphins, trying to prove that they are smarter than they appear, and it all falls flat. One of the main characters, D, is a girl. Now, there are some small hints at how she needs to take care of herself and watch out, but those don't go anywhere. I know it's odd to wish a book to take a turn to the dark side, but seeing as Station Gold is a closed system with a finite amount of men and women, the possibility of sexual assault and the like is surely there, yet never dealt with. Everyone finds D attractive, yet only two people flirt with her, and one of those people does it more as a joke than anything else. Some of the characters, just in general, seem stupid in regards to what they say and do. This isn't the kind of realistic stupidity, but more the kind that is needed to advance the plot. There are also brief mentions of religion, but the author doesn't do anything with them. Unlike C.S. 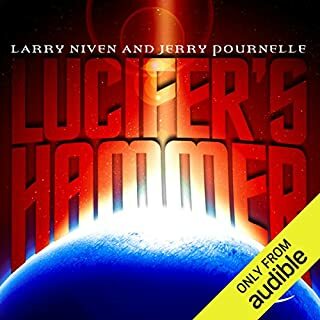 Lewis who based his entire science fiction stories around religious themes, those in this novel appear and disappear at random, almost acting as subliminal messages than actual motifs or themes. It's both annoying and disappointing. There are good ideas here, but it takes too long to get to them. Some aren't even contemplated. 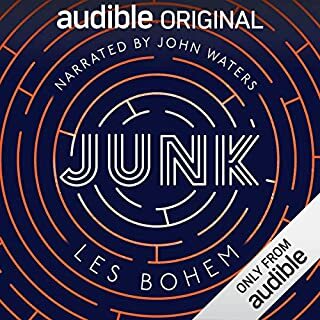 I will say, it's narrated really well which can make or break an audiobook. 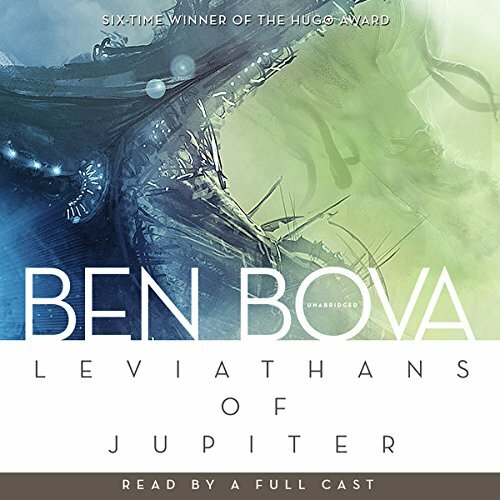 Where does Leviathans of Jupiter rank among all the audiobooks you’ve listened to so far? One of the better stories, original and interesting. What other book might you compare Leviathans of Jupiter to and why? Reminds me a little of "Stranger in a Strange Land". Three or four voices reading, handing off in strange places. The trouble is their accents or reading of the characters are all different. It would throw me off every time. One reader would give a character a strong Australian accent, another one wouldn't. It took me out of the story trying to figure out who the character was. It really hurt the flow of the story. Really a good example of never to do it again in the same way. I also had technical issues with the file, the first time in years. It seemed to jump around backwards. Sometimes a few chapters, sometimes more. It was a little disconcerting, but also surprising how I could listen to the same thing over again and hear more of the story the second time. So, I didn't hate it. The question this book asks is "If we met an alien life form, how would me determine if it was intelligent? Also, how would the alien life form determine if we were intelligent? Westfall's inclusion as antagonist is unnecessary, made even worse in that her character is idiotic, her motives are stupid, as are her actions. I would have liked to see more politics by the Leviathan elders as it would have been the aliens discovering about us and about paradigm changes. Ben Bova knows how to tell a good story and I want to see if the heroine returns. Don't waste your money and buy this book. 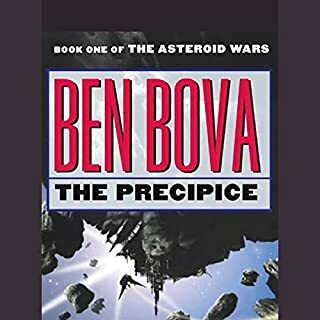 I have tried to read Ben Bova years ago and forgot why I stoped at only the one book. His writing is awful. How many times do we have to hear a conversation "He said..." "She said..." "He said..." "She said...." "He said..." on and on and on. Come on, when writing conversations between two people, we, the readers, can follow without labeling every line. He also wrote obvious lines like when two characters were talking, then the female character had to explain the motive of the male's portion of the conversation....Like we couldn't figure that out ourselves. 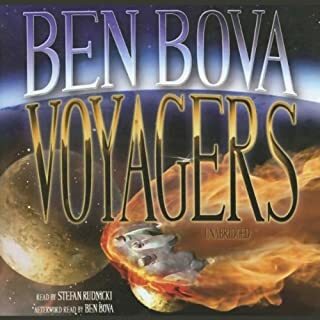 I will not listen to another Ben Bova book again and I will remember why..
Leviathans of Jupiter, sequal to Bova's Jupiter and only the second book in his World Tour series that I have read. 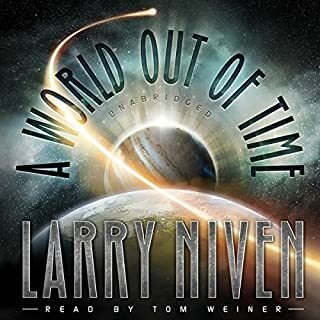 It offers an even greater insight into the giant intelligent mega-whales living in Jupiter's ocean of pure hydrogen and has some great returning characters from the first book, and from other parts of the World Tour series from what I can tell. Over all I greatly enjoyed the book. The Leviathans and the characters of Dorn and Grant Archer all being my favorite POVs in the book. But I do have a couple rather pointed criticisms that made it almost unbearable to get through. First the Villian, Cathrine Westfall (I think I got her name right). Cathrine Westfall is introduced fairly early on as your typical big bad corporate type that quickly takes a detour to over the top crazy town, and I do mean crazy as in mentally ill. She comes across not as a devious and cunning buisness woman but someone who is so over the top evil, and so moronic, that you have to wonder how she even got to her powerful position without either having been arrested or making everyone hate her right out the bat. She felt like a Saturday morning cartoon villian, but without the fun self awareness while keeping the terrible plans. Which bring us to point 2: Her plans, or rather how people react to them. Now I won't be spoiling this for you, but suffice to say that if while reading you ask yourself "Wait why doesn't the main character tell anyone about this right away, and when she does tell someone about this why isn't Westfall locked up in her room under guard?" then you are not alone. No one in this book reacts like any sane normal human being would when dealing with Westfall's crap, because if they did she would be declawed so quickly she would not be a factor a fourth the way through. Instead we get a very egregious example of writer fiat because Bova couldn't figure out actually intelligent plots for his main bad guy. And last, but honesty least as this is a more minor thing compared to everything else: The last fourth of the book. The climax of the story is simultaneously engaging and frustrating, where we are finally in Jupiter's ocean with the humans interacting with the leviathans, in some very well thought out interactions that made me grin listening to them; and the we keep cutting back to the station to Westfall's ongoing shenanigans that you have most likely stopped caring about. But again, see above for all the reasons that is annoying. The arguably more annoying part with section is the writing. It feels like Bova was running out of steam and his editor was asleep on the job; as characters repeat lines every other chapter about events going on in a way that makes you wonder if they remembered saying them before, and not just the humans our resident whale POV does it too. It just feels sloppy and slightly tarnished what could have been a stellar final act. All in all, still a good read with some problems that may make getting through it kind of difficult. I recommend reading Jupiter first as it will enhance the experience. Enjoy some fun hard scifi and xenofiction my friends, as what is there is good. Oh and what was with the Dolphins? We never got a resolution to that. it's a great concept and pretty well worked out. I wanted to continue listening to find out how the contact between races would go. However, I was really bothered by the motivation of the bad guy in the story. It really asks a lot from your willing suspension of disbelief. (and this is scifi :). All in all a good read with some top notch performances. i just am really not digging the inconsistent voices... I wish they would go back to either a single narrator or give each character a consistent voice actor! It's a hard sci-fi story that goes out of its way to emphasize the purpose of science and exploration. The characters are stereotypes, but the plot is solid. Most of the narrators are pretty good. I will work my way through Bova's solar system and enjoy every minute of it. unfavourable reviews I had read. characters in an over attempt to compensate for a deeper male voice. really was so bad it left me reducing audio volume as she spoke. like that of a grasping child and frankly were just silly. him figure a lot more in this story but alas he was really a minor player. director largely on the fringes. Yeager character is even introduced. station and recently brought there from a standard gravity environment. the ocean with the Leviathans. ourselves which isn't often postulated in science-fiction. so simplistic and cheesy like an old Mills & Boon story. 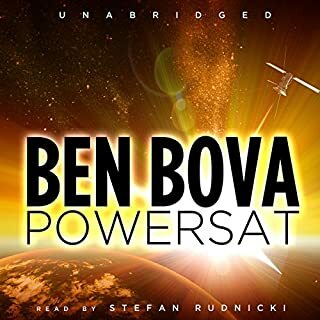 Not one of Bova's best but worth a listen if you've read "Jupiter". No, there were too many narrators. It became confusing. Jupiter is an excellent novel, one of Bova's best, but the follow up, Levianths of Jupiter is poorly executed. Which is a shame. from the beginning I should have known, the character introductions were sloppy, the writing was bland and uninspired, character development was non-existent, the antagonist was just properly stupid with a ridiculously uninspired motive which didn't even make sense. agh i mean to write a proper review for it but I'm so frustrated I'm gonna go have a drink. I was still waiting for the book to get interesting when it ended, I felt like maybe it will get interesting soon, its just around the corner... but it never did there was no great insight to be gained from this, I'll return the book if possible. Seriously such a poor effort should have just stuck with the two narrators or one, the lead female voice actor was pretty damn good.